Get solar power for your Florida home with Solar Advantage and enjoy complete energy independence. Installing solar power in your home is an easy decision when you understand the independence that comes from having your own energy source. Solar power benefits are twofold: You’ll save money and the environment. 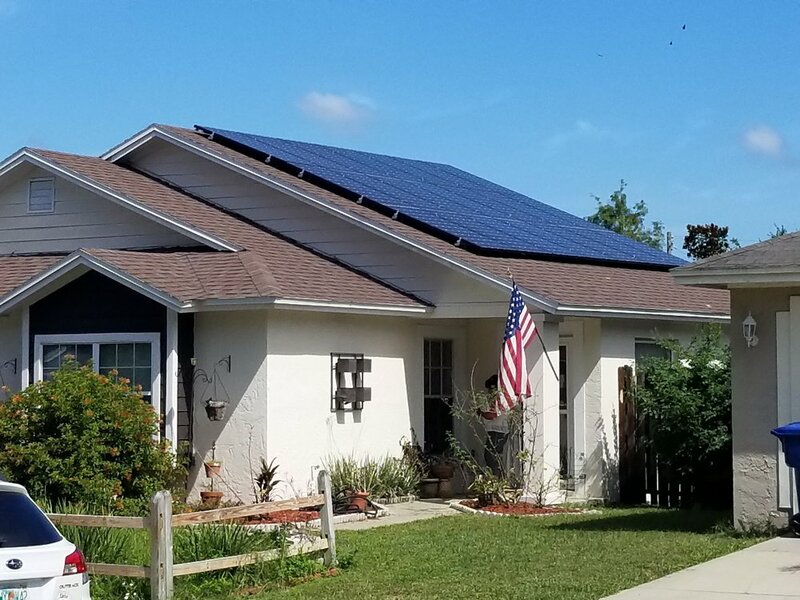 Our typical solar powered home in Florida generates between 75 and 100% of its own free power, saving you money both now and later as electricity costs increase. And solar energy produces no pollution, helping you reduce your carbon footprint, preserving the earth’s resources for the next generation. 3. The newly inverted AC electricity moves from the inverter to the breaker box, where it’s used to power your home’s lights and appliances. 4. The entire system is connected to your city's utility grid, allowing you to both give and receive energy. At Solar Advantage, we provide our own professional installation to give you solar power. Florida homes typically have solar panels installed in their roof or carport. Although Solar Advantage customizes each plan to fit your individual solar needs, we most often provide a home with a 10-kilowatt system that uses 36 solar panels, producing about $200 worth of electricity each month. Get a quote to start your journey to energy independence. "We did our research, shopped around, and chose Solar Advantage because they are kind, professional, honest, and very competitively priced. 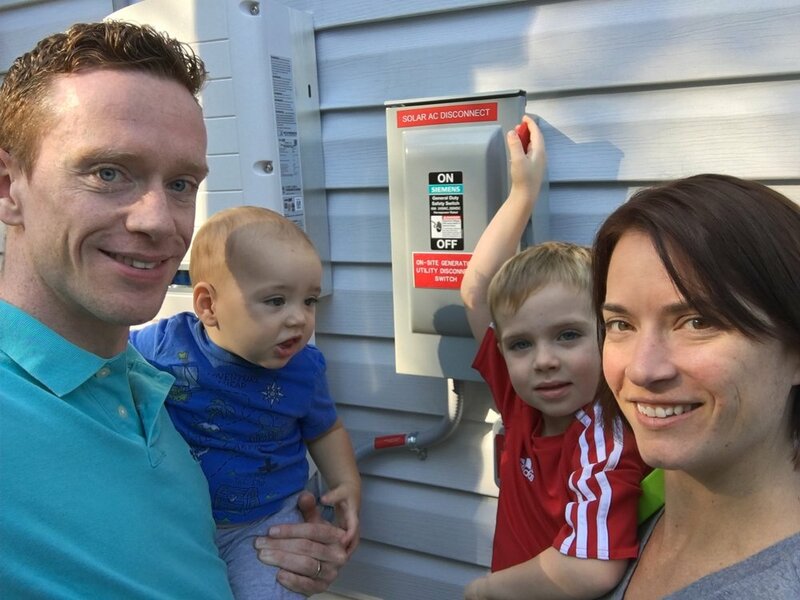 We've had our solar system for almost a year and have been very pleased with it..."